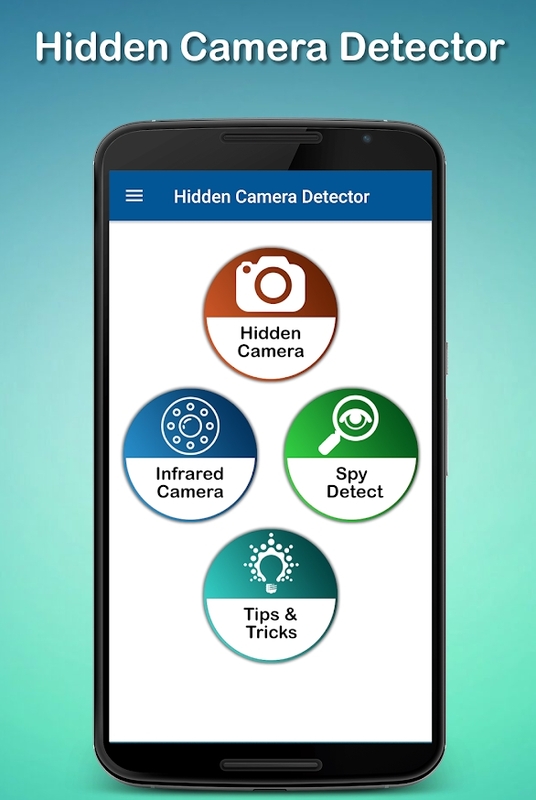 Best Hidden Camera Detector Apps: Nowadays, security cameras are used in restaurants, hotels, banks, shopping malls, offices, railway station, traffic signals, and much more public areas. They are used to ensure us with the best security and to keep an eye on the suspicious persons. They are very useful in catching the criminals at the times of bomb blast, robbery or any other serious issues. In addition to all these benefits, there also some disadvantages. These security cameras or CCTV cameras are invented for security purposes, but some of the people are misusing these cameras by putting them on the trail rooms, washrooms and blackmailing women. Don’t worry at all, we have a great idea through which you can get rid of it. 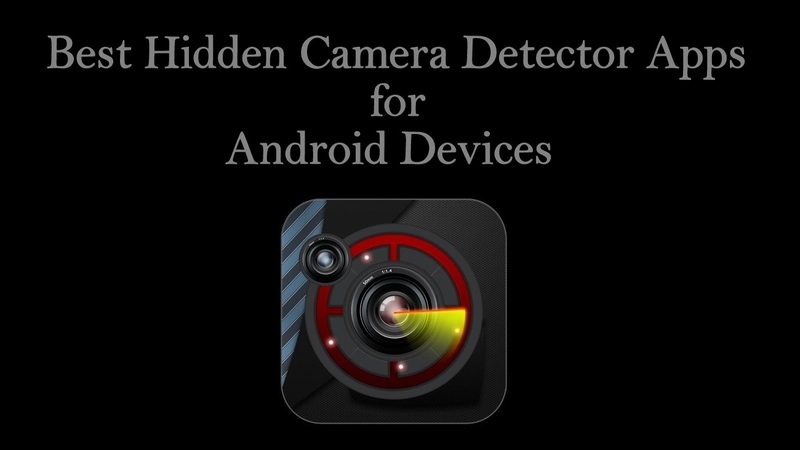 There are some applications are available for both Android and iOS devices, which helps you to detect the hidden cameras near you. Hidden Camera Detector Apps will alert you with a sound when you are near to the hidden camera’s. 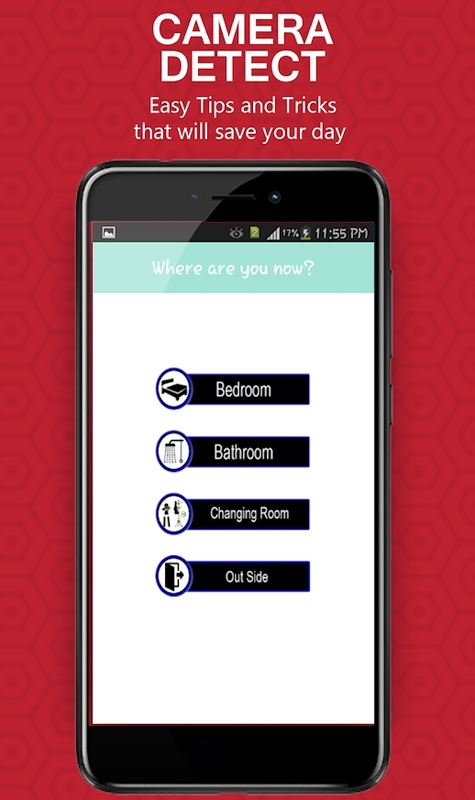 It is one of the best-hidden camera apps developed for Android and iOS users which lets you detect the hidden cameras in hotel rooms and trial rooms. With this application, you can find the pinhole cameras and infrared cameras with ease. It works on the radiation detection algorithm, which sends you the alert (red mark) on the screen to notify you that there is a spy camera near you. 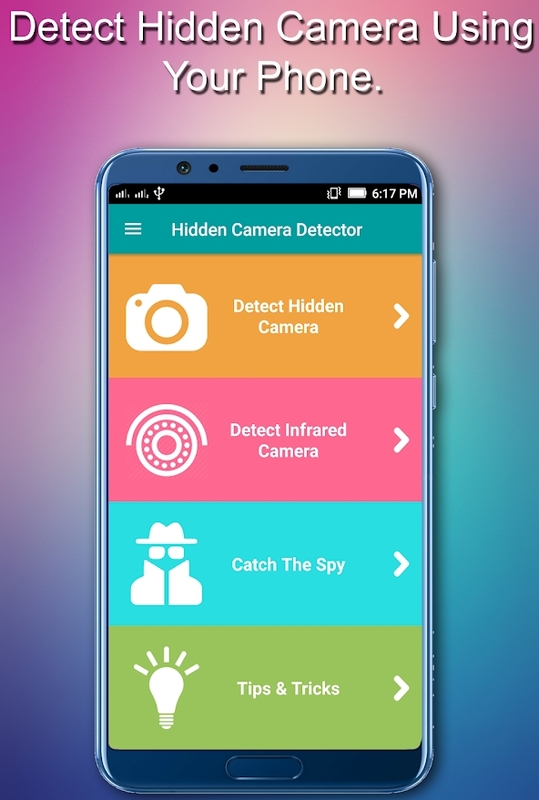 Spy Camera Detector by Track Apps is very handy in detecting the hidden cameras as well as spy cameras shrouded in different objects. It is very useful in places like trial rooms, hotels. malls and other places. 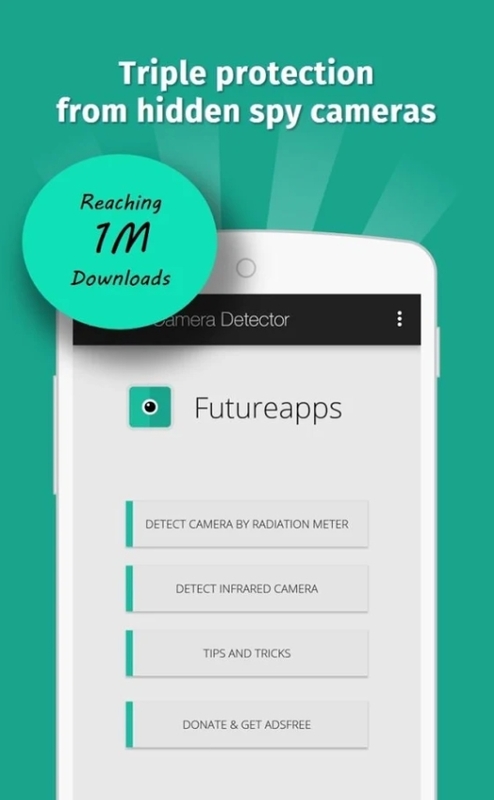 The application is entirely free to use as bug detector and hidden camera spotter. It is another hidden camera app developed for Android devices which lets you recognize camouflaged Cameras that are available in your area. It is one of the best application which helps you recognize single metal camera up to 15cm far from your gadget and it also helps you in distinguishing ferromagnetic materials with ease. Hidden Camera Founder by fantasy studios will let you find and catch easily the hidden spy devices. It also helps in detecting hidden cameras and surveillance camera which are used for spy purposes. Don’t forget to turn off the lights when you detect or find glint finder camera or spy cameras. Hidden Camera Detector by Lab informatics helps you find hidden cameras and to locate the transparent spy cameras. The application comes with an anti-camera protection. Shrouded cameras and spy video cameras can be easily shrouded in real life objects like lamp, TV, fan and much more to record your secrete videos and secret pictures. Hidden Camera Detector by Lab informatics will help you find those cameras with ease. 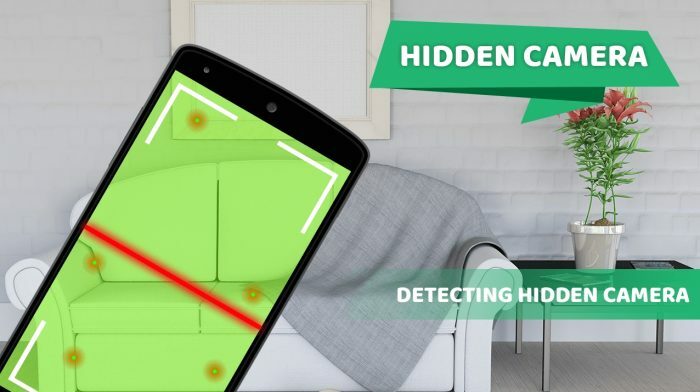 These are the top 5 best-hidden camera detector apps for Android devices that lets you detect the hidden spy cameras with ease. Thank you for visiting newsbugz.com.